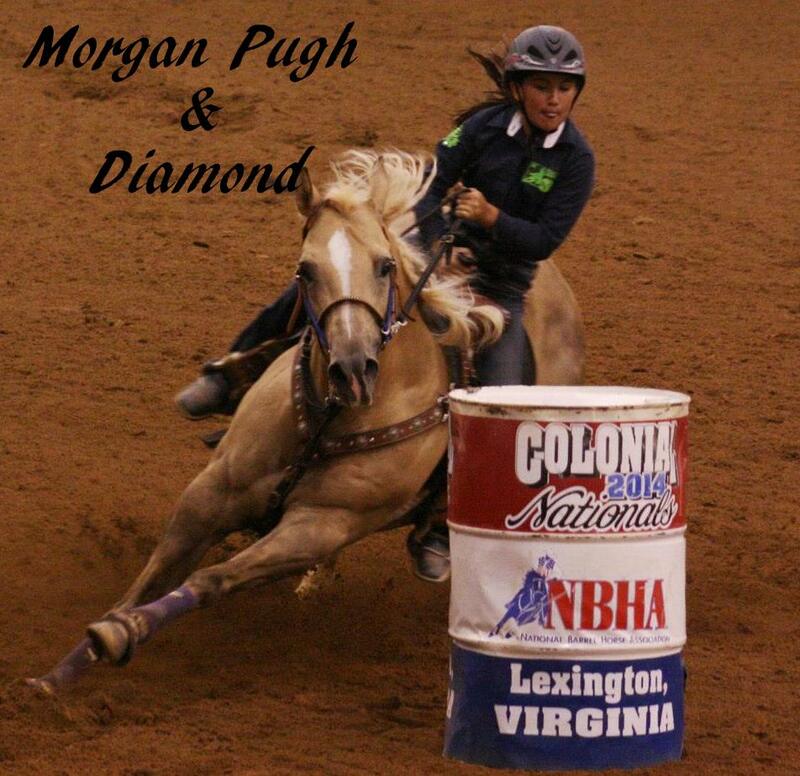 Morgan Pugh will be riding for a win at the BOTB! 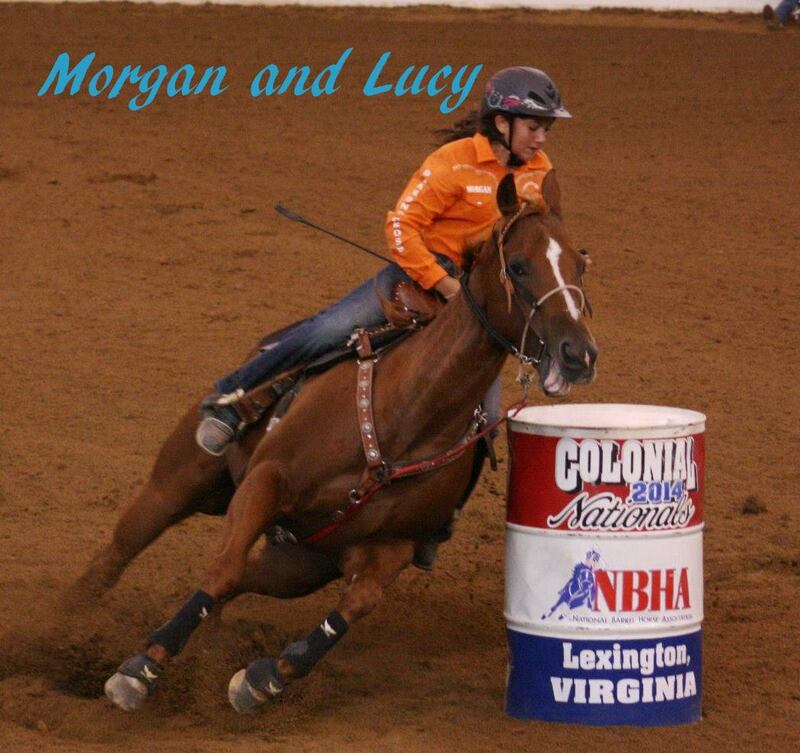 Morgan Pugh, the quiet little girl from Louisville with a riding ability of a superstar, will be shining bright on Saturday September 13, 2014. Morgan and her Mom Cathy are 2 of the people that always bring a smile to our faces. They are each others support and although you can hear Morgan saying “MOMMMMMMMMMM be quiet” – Morgan loves her favorite cheerleader. We are proud to have this little gal in the BOTB on not one but two horses. Congrats Morgan, you deserve it. Can you name one or more people who inspire your riding? Dave Treharne – without Dave’s help I would not have been able to learn to get in sync with Diamond so fast. What is your best memory of you and your horse as a team? After 1 barrel race after we bought her, she qualified for the BOTB and I realized she was fast! What is your favorite arena and why is it the one you like the most? Champions Center because both my horses seem to run their best there and they like the alleyway. Do you have a favorite song you like to hear before you enter the alley way to make a run? Can you name one or more people who inspire your riding? Marissa Berg from Burleson Texas. She is the one who sold Lucy to me. She takes my calls 24/7, she face times me at a show if I’m having a problem, she has helped me get in sync with Lucy throughout the last 3 years. Champion Center, Springfield, Ohio. As long as I’ve owned Lucy, it seems to be the arena that I run the best at. She loves the long alleyway! Watch for Morgan and JG Miss Lena and Diamonds Express to run up the alley way at the Best of the Best! Next Carley and Tubby – This Ain’t no western song. This is a BOTB Team!